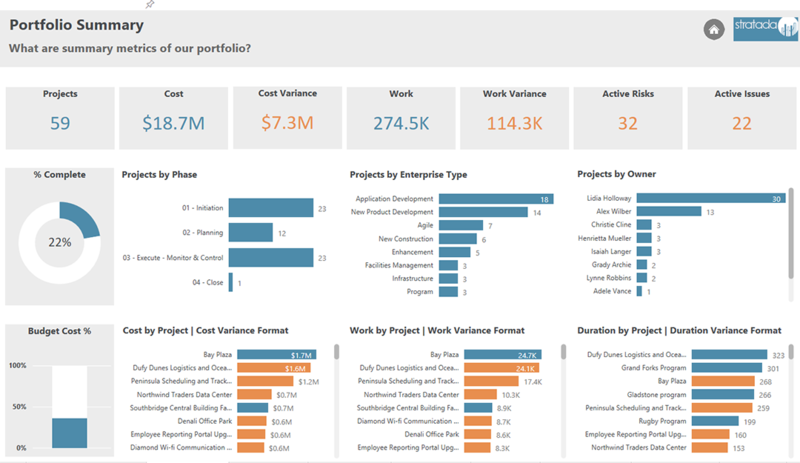 Project Online contains critical business data that aligns perfectly with the innovative capabilities in Power BI. 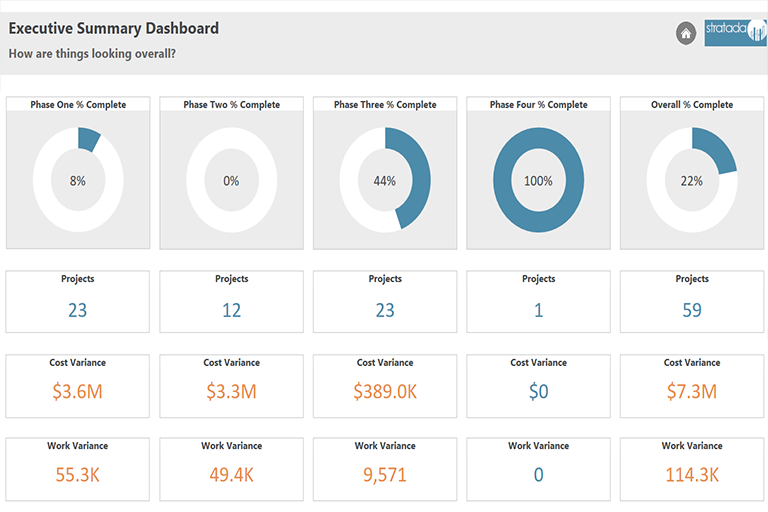 The Project Online Report Pack from Stratada demonstrates these capabilities using advanced features and our own custom visuals. Set-up is quick and easy. 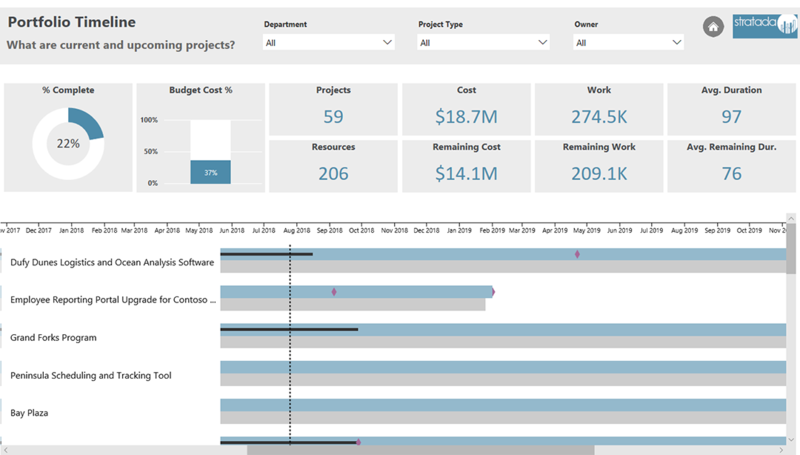 Does your project management team struggle with the complexity of Microsoft Project Online? Do the out-of-the-box reports and visualizations lack a certain dimensionality? Are you having to perform manual calculations and assessments? We understand the challenges and we've developed the Project Online report pack to meet those challenges. At Stratada, we believe strategy + data analytics = business success. That's why it's in our name. Our Project Online report pack is a testimony to this ideal. 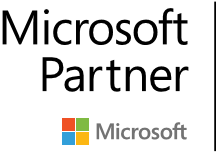 It is the product of the combined heads of those with years of experience in project management, data analytics, and Power BI reporting. 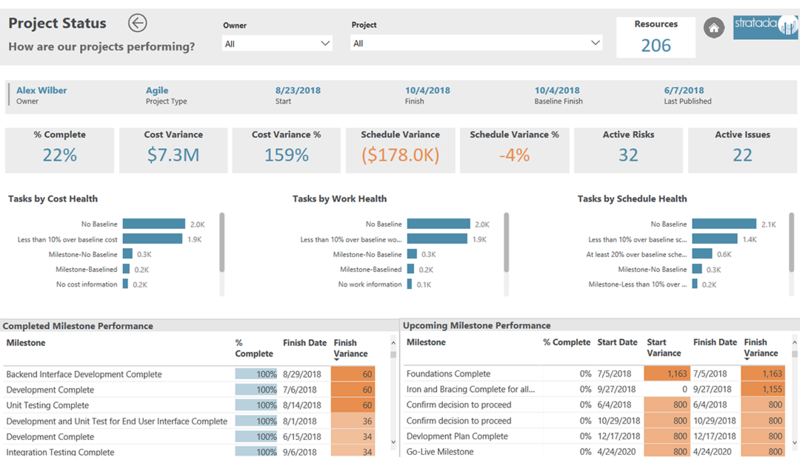 With over 20 reports - consisting of portfolio level, project level, resource level, earned value management, and data exploration, along with the implementation of high-value Power BI features, such as buttons, bookmarks, and drillthrough, your project management team is sure to experience a streamlined analysis of the critical data for improved performance. Our Project Online report pack comes with free installation and set-up, ensuring that your project analytics is good to go from the start. Additionally, we will continue to work with you for any customized reporting needs you may have.